On the way home while coming back from Omkar hills, I visited Dr. Vishnuvardhan’s Samadhi near Abhiman Studio on Uttarahalli-Kengeri road. There was a big crowd around his Samadhi (tomb), each one was taking snaps standing near the tomb. He was a legendary actor in Kannada film industry and has a big circle of fans. 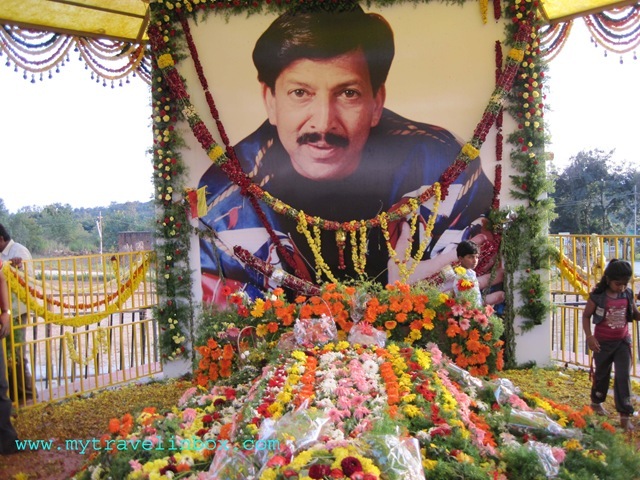 Vishnuvardhan died on 30 December 2009 due to heart attack at around 2:30 A.M. in Mysore. He was born in Mysore on 18th September 1950 and used to live in Chamundipuram. His father was H.L. Narayana Rao and mother Kamakshamma. His earlier name was “Sampathkumar” and named as “Vishnuvardhan” by famous director “Puttanna Kanagal” during “Naagarahaavu” film production and became a star through this film. He acted in more than 200 films and his last film was “Aptharakshaka”. He acted even in Tamil, Telugu, Malayalam, and Hindi films. He was married to Kannada actress Bharati and adopted two daughters, Keerthi and Chandana. He was died at his young age of 59 and I don’t think that it is an age to die. Now a days, heart problems are taking many lives due to stress factors, eating habits, and food. 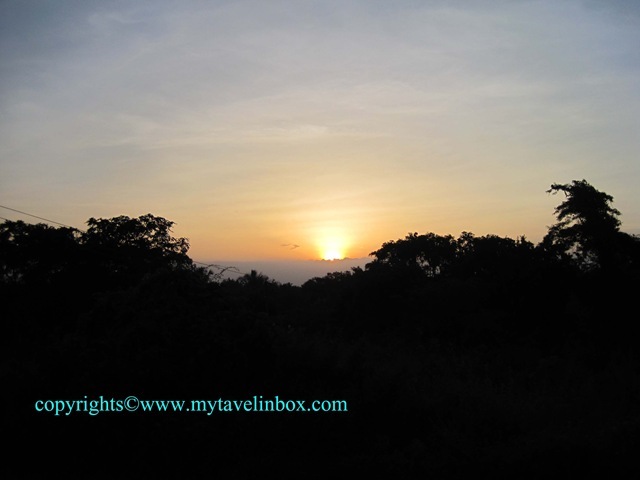 On the way back, I caught a beautiful sunset on my camera. A lead Kannada actor died as if the sun went down the earth. I sincerely pray God to let his soul rest in peace. 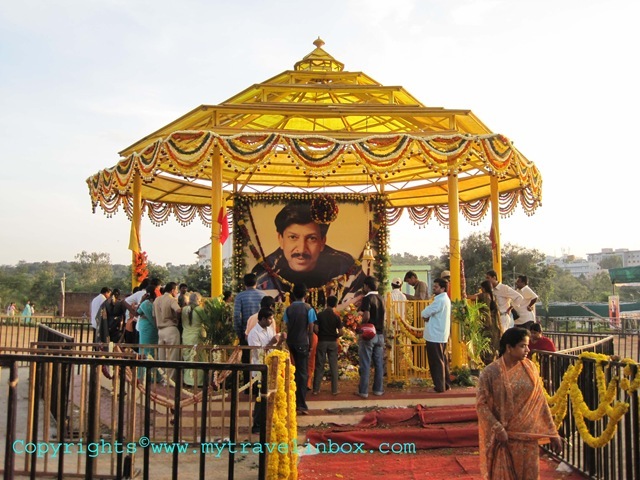 Dr. Vishnuvardhan’s Samadhi is located in Rajarajeshwari Nagar. 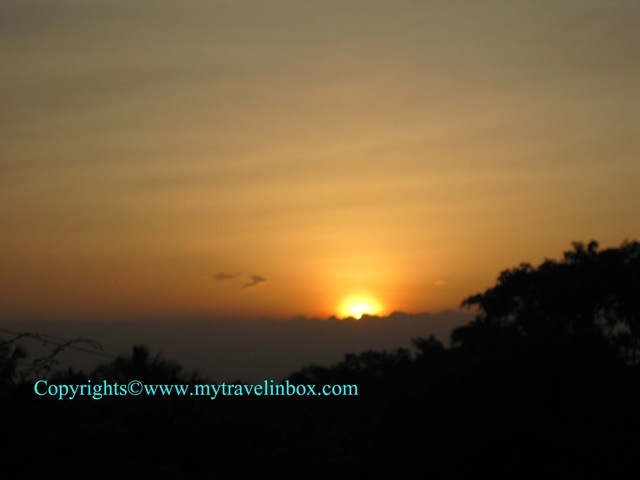 It is on Uttarahalli-Kengeri road. Distance: 3-4 Km from Kengeri. I like Dr.Vishnuvardhan My Favourite Hero & My Boss. Because he his no1 star. yes,we missed one of the iconic stars in kannada industry. I am a Big fan of vishnu sir. Now we all miss visnu sir lot..
Come once again VISHNU SIR…..
Sahasa SIMHA I MISSS U LOT VISHNU SIR…..
My boss and all time favo hero is simha vishnu boss. Vishnu sir is the best actor in kannada industry.I like very much vishnu sir we miss you sir. I am big fan of you Vishnu sir. Realyy we miss u dada.. When ever I heard your name which made me, i lost someting in our lifee. .